The rate at which people lost their phones or gets stolen nowadays is nothing to write home about. Nobody would love his/her phone to be stolen, after spending so much to buy the beloved phone. For one to misplace his/her phone, or gets stolen by someone is really a horrible experience. We always save so much data and files, which are personal on our phones, which ranges from different forms of information, to pictures, media files, payment details and lots more. So to say, our phones keeps details which are important to our lives. Most developers such as Google, Apple and BlackBerry have because of this reason decided to include in their respective operating systems, ways on how to track a cellphone, in order to help in finding a lost or stolen device. People still get their phone misplaced, and sometimes their phones stolen by someone else no matter how tight the security is. But yes the security also helps even when it is stolen, as they don't have access to your files easily. How exactly can you track a cellphone? So many don't even know how to do this, and that's why I will be sharing with you, how you can make use of the features in finding a stolen or misplaced phone, for your respective devices like Android, iPhone, and BlackBerry. Here's how to track a cell phone on your devices. Apple's has made how to track a lost or stolen iPhone easier with the Find My iPhone service. This service has been developed such that,it can track any type or all of the iOS devices, irrespective of the kind or series of iPhone you are using. Including any Mac associated with your Apple ID too. To Make use of this feature on your iPhone, follow the steps below. 5 It's advisable to turn on Send Last Location as well, while you are there. You can track a cellphone that is lost or stolen with the Find My iPhone app on another iOS device or by visiting iCloud.com and signing into your iCloud account , once you enable the Find My iPhone. You can lock your lost iPhone with a new pass code, when tracking it from iCloud website or from the app on another iOS device. You can also track where the device is currently, where it has been and also can fully erase all contents on the device. Note that,in order for this service to work properly, your lost iPhone needs to be connected to the Internet through cellular or Wi-Fi connection, else it work. Which signifies that if a thief steals your phone and turns off the connection, you will not be able to make use of it, until it's turned back on and connected to a network. Your iPhone will report it's last location even when the battery is low, provided the Last Location feature is turned on, as mentioned in above in step 5. This won't show the exact spot of the device if it's been moved before the battery goes off, but will provide you a good starting point to tracking your device. To disable Find My iPhone on a device, the user is required by Apple to approve the change in his/her Apple ID password. Also means that, a thief will not be able to disable Find My iPhone feature, unless they know your password also, rendering it useless for me too. Even if most of the smartphones used today are Android and iOS, still most also make use of BlackBerry and Windows smartphones. Windows users should follow some of the instructions made by Microsoft here. 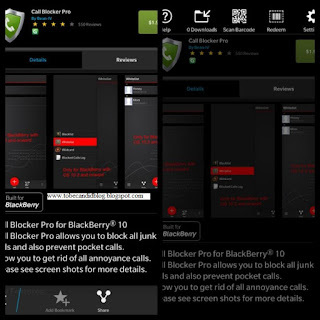 BlackBerry 10 users also can make use of the BlackBerry Protect and simple follow the instructions. 1. Navigate to Google Play store on your Android phone, and search for Android Device Manager or click this link to get it. 2. Sign in with your Google account after installing the app. 3. Be certain that the check box " Never Ask Me again" is left unchecked, because if you leave it checked who so ever that has access to your device would be able to disable the feature, or even track your other devices. Should in case you misplace your Android phone or gets stolen, you can use another Android phone to track your phone with the app or better still visit Google's Android Device Manager . You will be requested to log into the site using the same Google account you used to sign into the app on your own device. By making use of the app, you can completely erase it, play a sound on it or lock the device. This particular feature goes for all various types of phones including Blackberry and Windows too. Also bear in mind that for this feature to work properly, the network must be on and must be connected to Internet or Wi-Fi, because it won't work if it's not connected to the Internet just like iPhone too. NOTE: The same goes for BlackBerry and Windows smartphone. Non of this would work if they are not connected to the Internet, as connecting to the Internet is the only way it can work properly. If you have a phone which you are using and is not described here, you can contact them or visit the developer's website to know if they have a method of tracking a stolen or lost device. Everyone loves to use something good, not only just that but works efficiently too. Smartphones aren't an exception to this as well as we all love to use a good smartphone which is durable with nice specs. But it's not easy as it seems maintaining Smartphones nowadays, especially when it comes to data plans, because it really does not make any sense using a phone when mobile data plan is exhausted already or can't even afford an unlimited data plan as it's expensive. Recently made Smartphones really consumes data a lot, which is why sometimes data plan seem not to be enough. But still it can be managed if used efficiently. Most people use Smartphones, subscribe to a normal data plan and end up using it anyhow, hence exhausting their mobile Internet device data untimely. Going for unlimited plans are kind of expensive too, as some of us are afraid of using up our monthly mobile Internet device data allowance, due to the fact that most can't afford it. But what if I make you believe that you can still cut your mobile data usage, hence lasting long enough as you don't have to worry about your monthly data plan usage with the tips I'm about to share with you. I have come up with some tips which worked for me and decided to share it with you. So now I will be sharing some tips on how your mobile internet device data plan usage can be reduced on your Android smartphone. Below are some of the tips. Making use of Chrome for your Web traffic alone is capable of saving you 30 - 35 percent of your mobile browser data consumption. There is a Data Saver option in the Chrome browser which compresses Web pages before loading them in your browser. Although, making use of Data Saver slows things down a bit, but getting quickly used to it is certain, as your data lasts much longer using this feature. It's worth it actually even if it has to delay a bit, one thing for sure is that your data usage is made minimal. To make use of this in your Chrome Browser, Click on the three dots in the top right hand corner, navigate to Settings on your Chrome, and then to Data Saver. A graph for data savings is usually displayed, so make sure you keep an eye on it to see how it amazingly works. This might actually sound unusual or not right to some of you,but yes that's the truth. The Facebook app is well known among smartphone users, as it is famous on every smartphone like BlackBerry devices, iOS devices, Android devices and the likes. Facebook app is one of the apps which consumes data a lot, as well as quick battery drainage too. Though there are lots of other Facebook apps too, but they all are just the same. And same as the official version, as they consume huge amount of data. Even the likes of Facebook Lite which claims to reduce data consumption by 50% still consumes much data. So what should be done to stop this? I suggest using a Web browser is enough, as it doesn't consume data unlike the apps. You can create a shortcut on your Chrome browser. To do this, open Facebook in Chrome, select the overflow menu, and click Add to Home Screen. This way your data is well saved and don't forget using Chrome is another added advantage as it all supports the Data Saver as explained earlier. The latest Opera for Android browser now has useful video compression option, which means that a lot of data can be saved using this feature, if you are the type that frequently watch movies. To enable this, download the Opera browser on your Android Smartphone, navigate to settings, select Data Savings, then tick the box which shows the video compression option. Using this does not only save you data, but also means that videos are likely to load faster too. There are some games and apps which requires constant Internet access to work properly, which could be as a security measure or because they need to retrieve data constantly. Such apps and games should be avoided as they also consume data a lot. Make sure to get or download apps and games which do not require Internet access after downloading, or installing them on your Android Smartphone. Enabling your apps or the Android itself to restrict data background is the easiest way to save data on your smartphone. Background data is the Internet traffic which runs when you are actually not making use any app like feeds update, email sync, widgets of any kind and so on. To make your Android smartphone restrict background data, simply navigate to Settings > Data usage > Restrict background data. Also individual sync settings can be changed for Google services by navigating to Settings, click on Accounts, select Google, select the account and then disable the services you don't want automatic sync for. The Google Play app update also consumes a huge amount of data when it's on. If the Play Store is set to auto app update, this could consume your data a lot without you having any slightest chance of knowing. To disable this, go to the Play Store, swipe out the left hand navigation drawer, click on Settings at the top, the Auto Update apps will be visible to you. Click on it and make sure you set it to either 'Do not auto update apps' or ' Auto update apps over Wi-Fi only'. To also manage apps individually, navigate to my Apps, select an app and click on the overflow menu to check, or disable Auto Update. Streaming online is another huge data killer on services like YouTube, Netflix, Spotify, Vine and other music and video sites. If you have a tune or an album you listen to most times whether at work, home or anywhere, downloading it on your phone and listening to it offline would be much a better idea, as it saves a huge data than streaming if drop the Web. So if your phone doesn't have a microSD or enough space to save music or videos, using a microSD adapter is better, as you can save music for offline listening and does not require much space on your phone. If you can caution the habit of streaming online, you are rest assured that a lot of data will saved, hence reducing data consumption. There are some apps which consumes data a lot in the background and foreground, therefore it's advisable to always monitor which of the apps consumes the most, so as to limit or remove it. This can be achieved by navigating to Settings on your phone, then select Data usage where a list apps are displayed along with the data they have consumed over the time used. This tips is very useful for knowing the apps you should restrict. For example, I have over 300MB emails downloaded by yahoo mail in the background, if I feel like I didn't use this app that much to provide me with such amount of data consumed, I could remove the app or limit it's sync often, or even prevent it from downloading attachments. That's an example to know exactly what I am talking about, and all of this helps reduce data consumption considerably. Unless your data plan Is capable of handling this, don't just go about doing any of the above mentioned, on your phone. Of course it seems almost impossible, true and that's why I said except if your data can handle it well. Modern Smartphones have a high definition footage which can take as much as 200MB worth of data,which simply means just a picture could take up to 40MB, let alone of saying a video, you can just imagine how greatly the data is going to be consumed. Uploading all this to Facebook, Twitter, Google plus and the likes consumes a lot of data, so not doing any of this can also save you data. Now you really are going to enjoy this I'm about to give you. For some of you who can't adapt to all the tips mentioned above like watching of videos, music and the likes, Opera Max of going to make it possible to still do all those things you love. Opera Max is a wonderful app which makes you sword less data white watching videos on YouTube, Netflix and other video sites. It has a faster Wi-Fi experience, and also makes you have a complete control of data usage by apps on your phone. Read to know more and download the Opera Max for your Android Smartphone here. I have used the Tips I just shared with you and has really helped me save a lot of data on my phone, though individual plan may vary, this tips for sure will help you also save a lot of data on your phone. If you have some other amazing tips also, share it with us by posting a comment. The Nexus smartphone is owned by Google,and in the past years different versions of the smartphone has been made. But now i will be talking about the Nexus 5X, and sharing tips on how you can get to know about it, and use it more better. Most people are using this cool smartphone but yet find it hard to get the most out of it. The Nexus 5X smartphone is actually owned by Google as said earlier but manufactured by LG electronics for Google. Its design is no much different from its predecessor,that is the Nexus 5. Nexus 5X is also one of the top smartphones to run Google's latest version of Android Marshmallow 6.0. Despite the design of Nexus 5X being similar to the Nexus 5, it is also a a successor to it which comes with awesome features, some which are similar to Nexus 5, and some comes from the Googles latest Android Marshmallow 6.0. So i ll be sharing some tips for those of you that owns a Nexus 5X and how use it more better. Below are some of the tips to getting most out of your Nexus 5X. Launching the camera is quick on Nexus 5X, which is one of the features it offers. Even when the phone is locked, the camera can still be launched just by double tapping the power button. Photo's can also be taken when the camera app is open, by tapping Volume down. This feature is always turned On by default, but you can chose to disable it, if you feel you do not need the feature by navigating to the Settings on your phone then select Display, then toggle Quick Launch to off. The smart lock is an awesome feature on the Nexus 5X, which lets you enable certain places as trusted sites, just like the picture password on Blackberry 10 devices but just a bit different, as the Nexus 5X smart lock works on location. The locations which you have set are used to unlock the device without having the cause to enter your password or pin. For example your home or work place can be set as a trusted location, and your Nexus 5X gets to unlock whenever you in that location. Which means that apart from the locations you have set as trusted, for any other location the device will be locked, unless you in the locations you set as trusted. To enable this awesome feature, navigate to Settings, click on Security , select Smart lock, click on Trusted place, then add Trusted place. So add your home or any location else where you do not want your phone to get locked, so you do not have to enter your Pin when you there. The Nexus 5X comes with a RGB( red, green, blue) LED notification light which pops up or blinks at every unread notification to get your attention. This also is a cool feature which reminds you of notifications pending. To activate this feature, navigate to Settings, click on Sound and Notification, then toggle the switch next to Pulse notification light. Also if you wish to further customize it, a third party app can be used called Light Flow because Google does not give or provide an option for further customization in Android. In my recent post about Android Marshmallow 6.0, i made mention of this feature as it lets you manage app permissions. So to say, with the Nexus 5X running on the Android Marshmallow, app permissions can be managed, which means that you have total control over what apps are allowed to do on your Nexus 5X. To make use of this feature navigate to Settings, click on App and select the Cog (gear icon) in the upper right corner and click on App permissions. A list of apps which have permissions will be visible to you and you can turn ON and OFF to allow or cancel the permission. This feature was also made mention of in my last post about Android Marshmallow 6.0. The Marshmallow OS added new features to the Nexus 5X, which makes the Now on Tap feature one of them. This feature provides you with quick information, based on what you doing on your phone without having the cause to leave the app you making use of. By just holding down the home button, Google takes a look at what is on screen and comes up with related details,apps and possible actions. Making use of this feature is not hard, all you need to do is to navigate to Settings on your phone, select Google, click on Search and Now, then Now cards, click on Now on Tap. Once it has been enabled, just tap and hold the home button to activate or launch it. The Nexus 5X also comes with the fingerprint scanner which permits users to unlock their phones with a fingerprint instead of a Pin. This really is an awesome feature of the Nexus 5X, i would say Android made easy with more fun and uses. The fingerprint sensor can also be used to pay for items using Android Pay. To enable this feature, navigate to Settings, click on Security, click on Nexus Imprint, add Fingerprint and continue with whatever you want to do. 4K simply means ultra high definition for some who do not know, you can just imagine how it looks like by being able to record a video with a 4k format. The video really is going to really make sense as its an ultra high definition mode which is even higher than high definition mode. Nexus 5X lets you record 4K videos, but you need to turn it ON as its Off by default. To do this navigate to Settings menu in your camera app, Click on Resolution and Quality, select the Back Camera video, then click on UHD 4K(ultra high definition) and you be good to start a video record with 4K feature. Another feature of the Nexus 5X is the ability to use a Lock screen message, which allows you to add your own message on the lock screen of your phone. This also works like Blackberry too, as the message appears under the date and time on your display screen while the phone is locked. Your text is seen scrolling below time and date on the screen which is locked. navigate to Settings, select Security, then Lock screen message to make use of this feature. This also is an amazing feature on the Nexus 5X as photos can be taken while recording a video. When recording a video, just click on the screen whenever you want to take a snapshot and the image is automatically saved to your phones device storage. This really is cool. The Fingerprint scanner feature on Nexus 5X can also be used with the Tap and Pay for some wireless payment by making use of NFC technology( near field communication). To make use of this feature you need to enable the NFC, by navigating to Settings, select Wireless and Network, more, then NFC. Also register a finger print by navigating to Settings, click on Security, then Nexus Imprint. With this tips i have shared you should not have any problems anymore about your Nexus 5X, as with this you can get the most out of your devices. I ll keep up with more updates as it comes. cheers. Android software has indeed changed a lot from the way it used to few years back,with improved apps,outstanding performance and features which makes the phone a lot much better, with a faster and easier experience. As time goes by, Android developers keep releasing frequent software updates, alongside with efficient apps to keep having more users and also make the current users happy and satisfied. I want to believe that Android Marshmallow is not new anymore as most android users all know about it.But the fact still remains that not everyone one who knows about the Android Marshmallow is aware about most of its features or how efficient it works. Most people of course would have updated to the all new Android Marshmallow, since its been few months now its been released, but that is where it stops as some do not know few specs about the new software for the phone Android. I ll be sharing with you some of the useful tips and tricks i found out and to be honest they really are amazing. The sixth major update for Google's mobile OS is the Android 6.0 Marshmallow.Being a major update, Marshmallow comes along with new features with fixes for bugs and also changes in the phone. Nevertheless, without exaggerating many of the features of Marshmallow are hidden in the menus and behind settings, that even experienced users wouldn't find or tap either. So for those who have mobile devices operating on the Marshmallow Android,the few tips and tricks i am going to share will help you get and understand most out of it. Android Marshmallow comes with the Google Now on Tap,which is one of the best features for the new software update. This feature provides quick information on whatever you searching for on your smartphone. With this amazing feature, there is no longer any need to close apps, copy and paste phrases anymore.Once it is enabled, Google Now on Tap can be brought from any app by simply selecting text and long pressing the Home button on your screen. To learn how to do this, Navigate to Google Now on your smartphone,click on Settings then Now cards then enable or disable Now on Tap. Android Marshmallow also comes with App permissions ,which is also another top features of the software update. The above feature allows users to individually manage each apps available on their smartphone. In other to access app permissions, navigate to Settings screen on your phone, Click on Apps then tap an app individually to see its permission. Change the permissions switch that you want to grant or cancel the permission. There is a list of view of permissions available also to determine the particular apps you gave access to. To do this navigate to Settings, click on Apps, then click on the menu overflow in the right corner at the top, then simply go to Advanced App Permissions. The System UI Turner is a hidden feature that allows you to customize quick settings, and status bar shortcuts in the Android Marshmallow 6.0. Demo mode of your smartphone can also be turned On with the System UI Tuner. To use this feature, drag the notification panel down and long press the Cog( a kind of settings button gear like) at the top close to the battery indicator. Hold it down until it spins and displays a message like Congrats System UI Tuner has been added to settings. Unlike Android Lollipop which shows battery percentage using a third party app, Android Marshmallow does not require a third party app at all, which means the battery percentage status bar comes along with the Marshmallow which can be found in the option inside the System UI Turner.To enable this navigate to System UI turner from the Settings page, then toggle the switch of Show Embedded Battery Percentage to turn ON the feature. This was introduced in the Android Lollipop known as heads-up notifications or peeking. The heads up notification allows notifications to pop up over the top of your display, instead of showing a scrolling message in the status bar. This feature also comes in Android Marshmallow but kind of different, as you can chose to disable heads up notifications per app basis. To enable this navigate to Settings on your phone and click on Sound&Notification, then click on App notifications. Click on the App you want to disable the heads up notifications for. Then toggle Allow peeking to OFF. I know you must be thinking what is a doze mode, well a Doze mode is a new feature also in Marshmallow designed to increase your smartphones battery life, by simply enabling your device to sleep when its not in use for a certain amount of time. It is a fully automated feature, as you can not decide either when to turn it On or Off, but certain apps can be excluded from the Doze mode feature. To do this, navigate to Settings app on your device and select Battery. Click on the Three dots available in the top right corner and select Battery Optimization. Click on the arrow pointing downwards then select All apps from the menu that appears. Then apps you want to optimize for Doze mode can now be selected. Apps can now be uninstalled from apps on your home screen, or from app drawer in the Android Marshmallow6.0. Simply long press the app,then drag the app icon towards the Uninstall or Remove option at the top of the screen to do this. Just like Lollipops Easter Egg, the Marshmallow Easter Egg is not different as it is flappy bird like. Though now Google added a feature of multiplayer for more fun. Navigate to Settings then About phone. Select the Android version repeatedly until the Marshmallow icon is displayed and appears at the center of the screen. Simply tap on the M logo to turn into a Marshmallow with antenna, then press and hold on the Marshmallow until the game on screen loads. With the tips i have shared you should be able to get a hang of your Marshmallow update and enjoy much of its benefits.